The main purpose of All Boys Rock is to celebrate, empower, support and encourage both males and females to be their best selves through two main events held annually in partnership with The Mayor of London’s Peer Outreach Team. 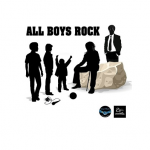 All Boys Rock – held on International Men’s Day 19th November. All Girls Rock – held on International Women’s Day 8th March. Our events are family friendly and promote positive role models and positive activities for all, but, especially encouraging conversations and interaction with young people. We focus on building partnerships with organisations who deliver services that offer, activities, support, mentoring, information and guidance across London and give them the opportunity to collaborate with us and highlight their great work.